SOMEWHERE in a galaxy that looks very much like Broughton Street, there is a planet where Harry Potter frolics with My Little Pony and stacks of comic books replicate as if Captain Picard issued the order himself. This parallel universe is known to earthlings as Planet Fun, your choice for Best Local Toy Store of 2015. Its colorful world offers all manner of playful distraction for the busy modern mind: Board games, collectible miniatures and cosplay weaponry can be found on its labyrinthine shelves, along with Dr. Who memorabilia, Pokemon decks and Lego sets. “I originally came to Savannah to come to SCAD, and I wondered why there wasn’t a place dedicated to this kind of stuff downtown,” says owner and headmaster John Croley. 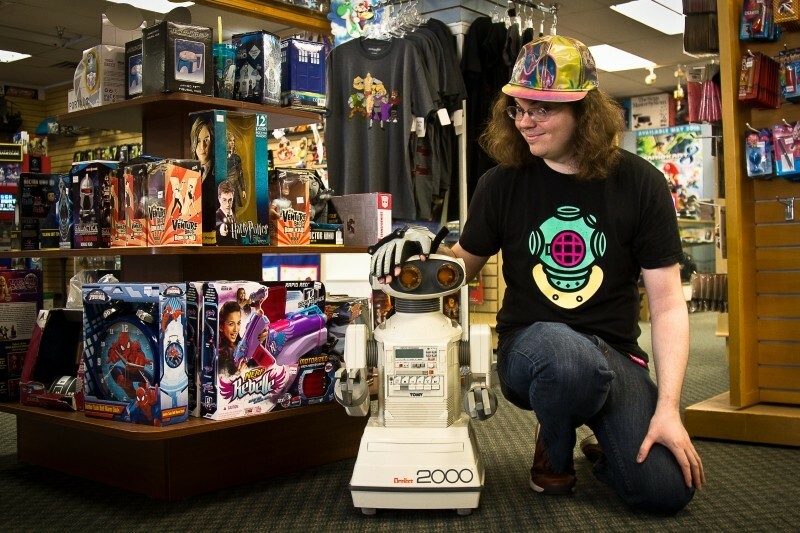 Croley set up a tiny shop on Broughton in 2011, attracting Savannah’s geeks and gamers with a gravitational pull. He expanded last year to a space four times the size, allowing Planet Fun to pull more people and products into its entertaining orbit. Half of the shop is now dedicated to a used video game library, where gamers can pick up cartridges for their Playstations and Wiis on the cheap as well as trade in the ones they’ve already dominated for store credit or cash. But Planet Fun isn’t just for the outliers: Interspersed among the Iron Man and WWF figurines are mainstream surprises like mini Cabbage Patch dolls and an old school Lite Brite set. An epic vintage Barbie Dream House sits in cotton candy-pink glory above the shelves, with a squad of brand new, smiling blond bombshells ready to move in. “We’re interested in anything that’s relevant in pop culture,” says Croley of the manga books and comic collection that have recently sprouted in the far corner. He looks down and gives a wave with his Nintendo Powerglove, introduced in 1989 and quickly relegated to the dustbins of video gaming history.